The San Francisco 49ers suffered a huge blow on Tuesday, losing wide receiver Michael Crabtree to a torn Achilles tendon. Crabtree had surgery today (Wednesday) and is expected to be out about six months. That would put his return in late November, somewhere around week 11 or 12. Achilles injuries can be tricky though, and considering the position Crabtree plays, there is always the possibility he could be out longer. He will need to cut an run routes with authority, which is something that could take more time. With the injury, the 49ers are losing a major piece of their offense. Crabtree finally emerged as the go to receiver the 49ers imagined him being when they drafted him out of Texas Tech. Crabtree posted career highs in receptions (85), yards (1105) and touchdowns (9) in 2012. He was also invaluable to the team on third downs. Crabtree had 32 receptions on third down and 24 of them were converted to a first. With Crabtree out of the picture for the foreseeable future, the 49ers will turn to Anquan Boldin to handle the number one receiver duties. No one is entirely sure when Mario Manningham and Kyle Williams will be ready and how effective they will be when they return. The team will also be hoping A.J. Jenkins can begin to mature and make a significant contribution this season. Expect to see tight ends more involved in the passing game as well. Vernon Davis was not targeted a lot towards the end of the regular season but he should be a major contributor with Crabtree out. The 49ers also have rookie tight end Vance McDonald who could see some work in the slot. 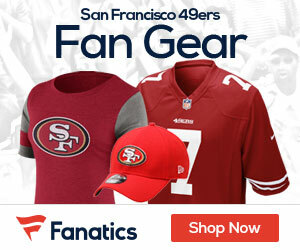 Be the first to comment on "49ers Lose Crabtree to Achilles Injury"